Design, planning and production of four Media Stations for the Deichmanske Library, the biggest public library in Oslo, Norway. The Deichmanske Library, opened its audio-visual archive to the public in 2008. We developed four Media Stations that serve as access points to the library‘s media archive. They have been in use since October 2009. The project was realised within 7 months - from the first sketch to the fully developed product. Organising an international project, communicating across the borders and finally producing the media stations in Kragero, Norway were a challenging experience. 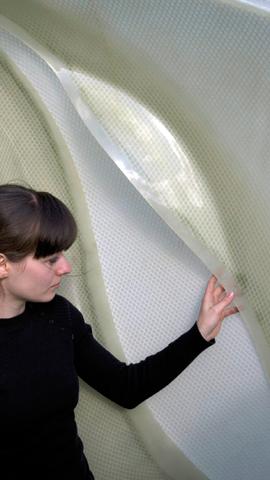 The media stations are realised with the novel fibre-reinforced composite that was developed in the course of the Lounge Landscape project 2007. 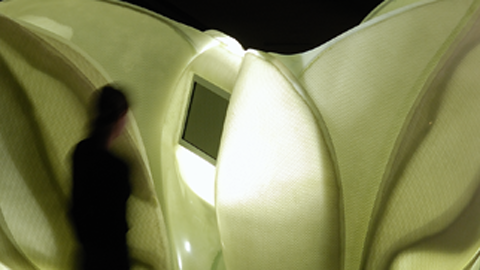 Light and Sound Environment: The Media Stations were intended to offer their users an environment open for a multitude of uses. We explored in which way the design can support divergent uses that range from studying and researching to relaxing and enjoying films or music. 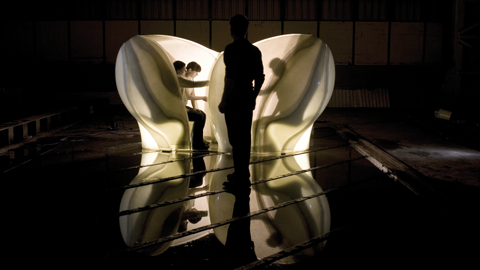 Embedding technical items in accordance with the material played a major role in the design process. Our strategy of integrating the technical equipment in a formal and constructively coherent way makes use of the material‘s specific characteristics. Design and Production Process: We developed various studies of different global shapes and surface articulations during workshops. 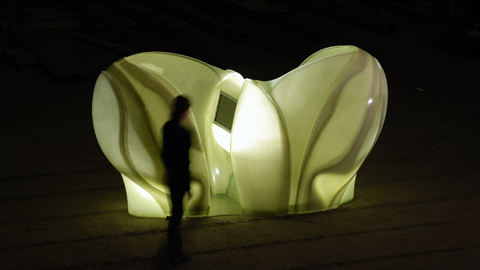 Digital form-finding as well as studies concerning the relation between space, user and object took place at the same time. Later on, full-scale mock-ups helped us to gradually adapt the Media Station to the dimensions of the user. 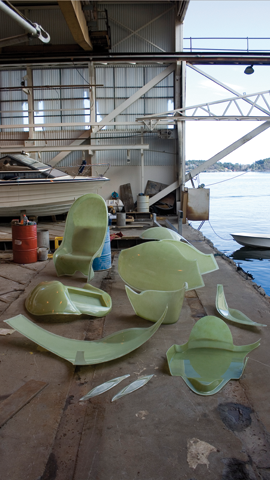 While the CNC milling of the moulds still took place at HfG Offenbach, we built the rest in collaboration with YNOR, a boat building company in Kragerø, Norway. 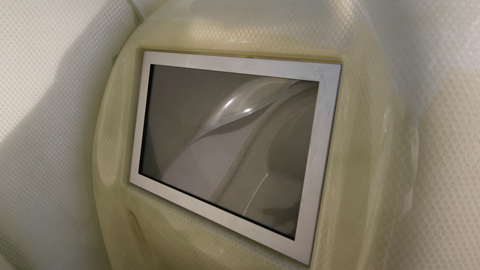 A double moulding strategy made the moulds easier to handle: The foam moulds are formed and result in negative ‘mother moulds’. Those mother moulds are then used to laminate the actual shells. 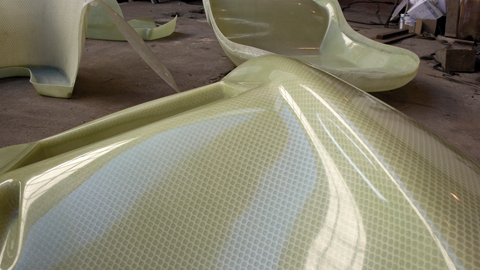 A single media station consists of 10 laminated shells glued with resin on small overlaps, creating different grades of translucency. Copyright © 2012 - Nicola Burggraf. All Rights Reserved.